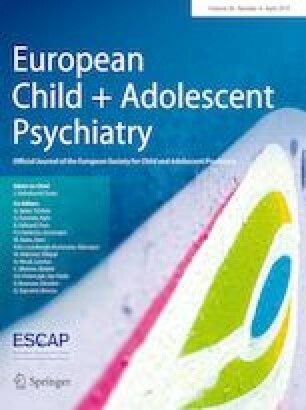 The present study investigates treatment satisfaction (TS) rated by multiple informants (patient, parent, therapist) following routine outpatient cognitive-behavioral therapy (CBT) within a large sample (n = 965) of clinically referred adolescents aged 11–20 years. Moreover, potential predictors of TS were analyzed (patient-related variables, mental disorder characteristics, socio-demographic factors and treatment variables). Overall, our results show a high treatment satisfaction in patient, parent and therapist ratings, with the therapists being the most critical raters (completely/predominantly satisfied: 87.8% in patient, 92.0% in parent, and 64.0% in therapist ratings). Correlations between the three raters were only small to moderate, but statistically significant. Regression analysis examining differential effects found that mental disorder characteristics (parent- and patient-reported symptoms at post) and treatment variables (especially cooperation of patients and parents as rated by therapists) explained most of the variance in TS, whereas patient-related or socio-demographic variables did not emerge as relevant predictors of TS. The amounts of explained variance were R adj. 2 = 0.594 in therapist rating, R adj. 2 = 0.322 in patient rating and R adj. 2 = 0.203 in parent rating. The online version of this article ( https://doi.org/10.1007/s00787-018-1220-2) contains supplementary material, which is available to authorized users. Paula Viefhaus and Manfred Döpfner contributed equally to the manuscript and are both first authors of this article. This study has been approved by the ethics committee at the University of Cologne and has, therefore, been performed in accordance with the ethical standards laid down in the 1964 Declaration of Helsinki and its later amendments. All persons gave their informed consent prior to their inclusion in the study.